See a quick video to understand more. We start with a simple framework for analysing your operations, based on Execution Outcomes. These are the top 8-10 things your operations must consistently deliver. Review the processes, systems, people skills and partners needed. Prioritise the opportunities and develop a practical, manageable action plan. Full video guides for every step. A step-by-step template for building your plan. Using these tools, Coordinated Capability can be run without outside consultants. But if you’d prefer to have an outside facilitator, we can provide that help as well. Like to see a video overview of the program? Watch the video. Jordan Harris, new CEO at Leader Manufacturing, has a bold vision for the future; one that’s excited the board, executives and the staff. Now he must execute. Jordan learns, in a most uncomfortable way, of a botched delivery to their second largest customer. He discovers even deeper issues which, if not fixed, will mean his career as CEO is over. He is rocked to discover a missing link between his strategies and execution and to realise he is responsible for all that has gone wrong. He responds, developing a unique and enduring solution. 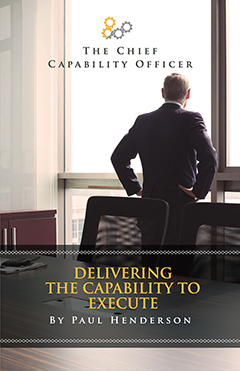 A work of fiction, the book brings into sharp focus a challenge facing every organisation – to execute strategies you must first have the capability to execute them, and you must develop this capability. It’s an endemic challenge and the compelling, unique and enduring solution developed by Jordan is suitable for any organization. 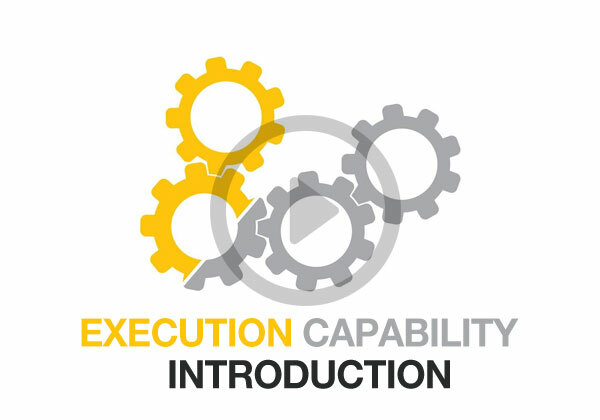 Analyse execution capability before you launch. Use the framework to identify the biggest opportunities for improvement. 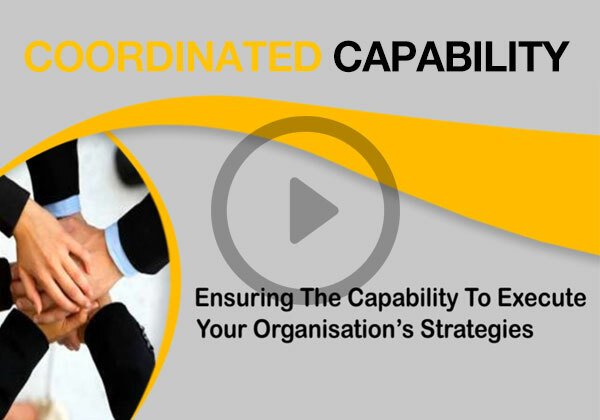 Coordinated Capability creates a single plan for all departments. Coordinated Capability provides a simple, low-intensity method.